By 2019, Internet Video Traffic will account for 80% of all consumer Internet traffic. Here is an excellent opportunity to leverage the power of Videos and use this medium to catapult your web business to the next level. There are Endless Possibilities where you can use these videos and here are just some of them. 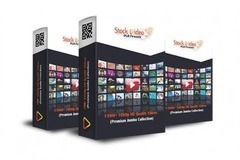 Here is the bundle of hand-picked, 1080p HD Quality, Food Niche videos.